Do you like parsley? I mean to eat a big bunch of fragrant parsley. .... Occasionally I would sprinkle a little minced spring onions, parsley on the food. But my big kids don't appreciate such fragrances when they were young ... but now they do not mind just a little of them tossed with or sprinkle on food. Below my slightly modified version as I've omitted shallots and reduced the quantities. 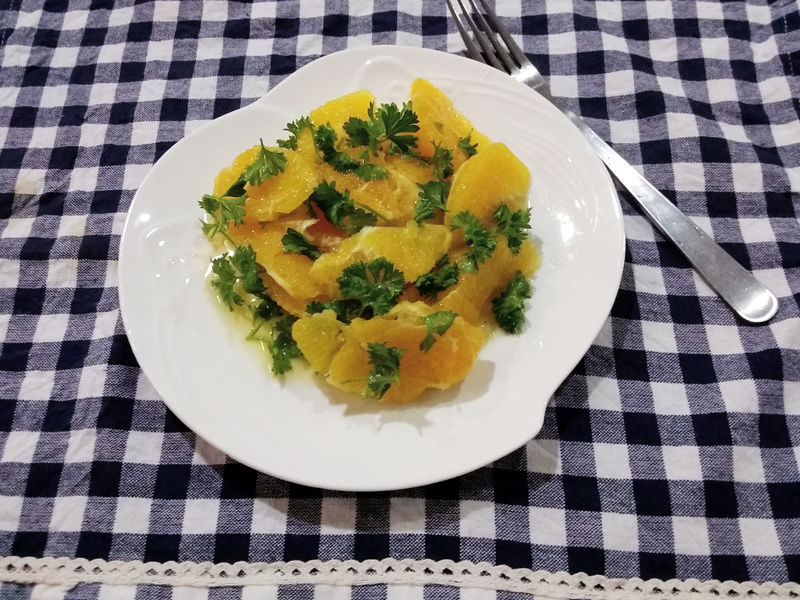 Peeled and cut the oranges in thin wedges. Gently toss the oranges with the minced parsley. Drizzle in the olive oil, and sprinkle a pinch of salt and dash of pepper. Set aside to allow the flavors and taste to immerse. Simple and easy to make! So how does this salad taste like? 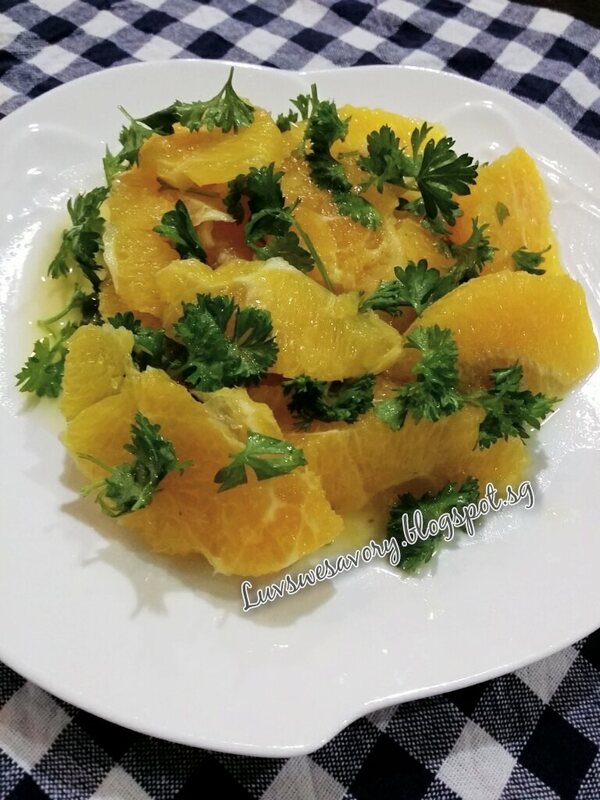 Sweet oranges with fragrance parsley has a distinct flavor with a hint of light peppery taste. Well, healthy eating for a healthier me ^-^! Me too should really try to loose some weight! No will power whatsoever! This salad looks very light, refreshing and so healthy! Lovely! Hi Karen, this is so refreshing! I will definitely want to make this. Karen, this looks amazing. I need to join you on this healthy diet - been very naughty this festive season.